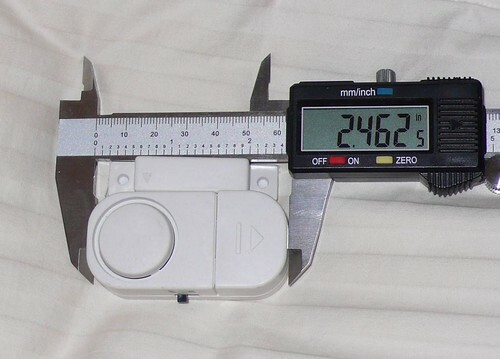 Sometimes you come across a product that you might not really need but its so inexpensive that you know you can find a use for it in one of your projects. Or at minimum harvest it for spare parts. Well I found such an item today. 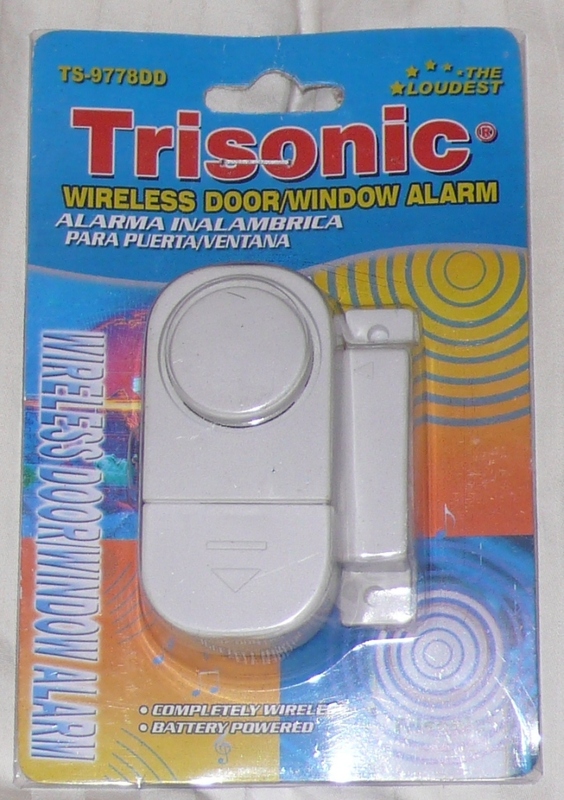 It’s the Trisonic Wireless Window Alarm. 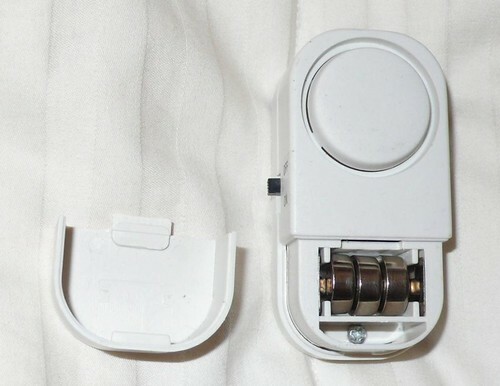 It has a magnet that basically turns on the alarm when its moved away from the base. You can probably find these in thrift stores and also on ebay. I took it apart as soon as I got it, took some photos and it looks really simple, just analog components. I am not sure what I would do with mine just yet, but I bet some of you can come up with some creative ideas. So make something and WIN $20. Step 1: Buy this exact product. – you can find your own or just buy it from me for 1.99. This way everyone starts with the same product and parts. Step 2: Hack it, Mod it, Add to it, or use it in some alternate way. 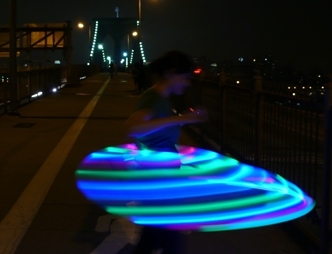 The goal would be to either improve its performance, or modify it to perform some new function. 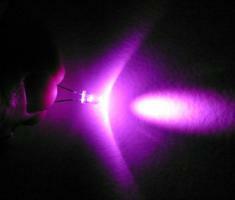 And I am also allowing using its parts in some creative way for a new project. Step 4: On March 10th, 2008 all entries will be posted on this site. You and the other readers will vote for their favorites. Bonus: I might also have an Editor’s pick prize, TBD. Here are some pics showing the insides to get you thinking. This alarm is REALLY loud, it hurts. 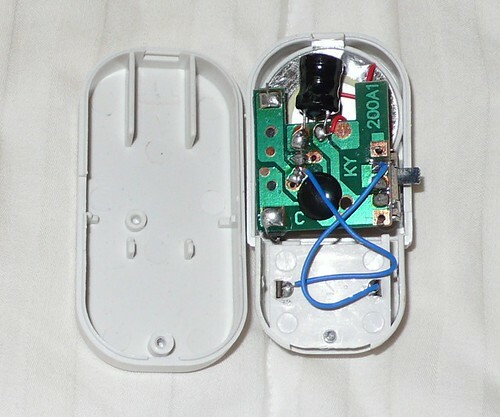 The alarm sounds when the magnet moves away from the main housing. It activates at about 1 inch or so and has an off slide switch to disable it. It even comes with 3 button cell batteries. 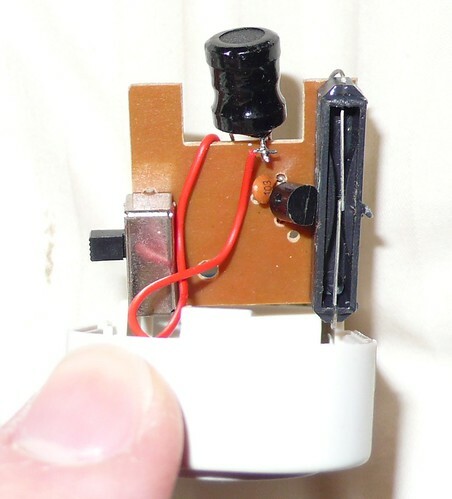 And you gotta check out the read switch (magnet sensor), it looks hand made, it’s not even sealed. I think that’s good deal. You can use it as an alarm for almost anything. Any ideas on how you can hack it? Maybe have it turn on a light instead of a super loud alarm? How would you do it? Maybe a relay switch? Give it a shot, best case you win $20, worst case you add a few more parts to your supplies.